Based on 78 customer ratings. You have a craving for stuffed pie. We have carefully trained artisans, delicious ingredients and a warm oven. What are you waiting for? Stop by our Lincolnwood location and enjoy a drink in our dining room, or you can place an order for pickup or delivery. You already love Chicago’s famous deep dish pizza. Wouldn’t it be great if you could find the best Chicago-style pizza right in Lincolnwood? With Giordano’s, you can! We’re proud to make the best deep dish pie in town, and we’re even prouder that we’ve been a cherished Chicago tradition since 1974. Giordano’s is more than just pizza — we’re an experience to be treasured. 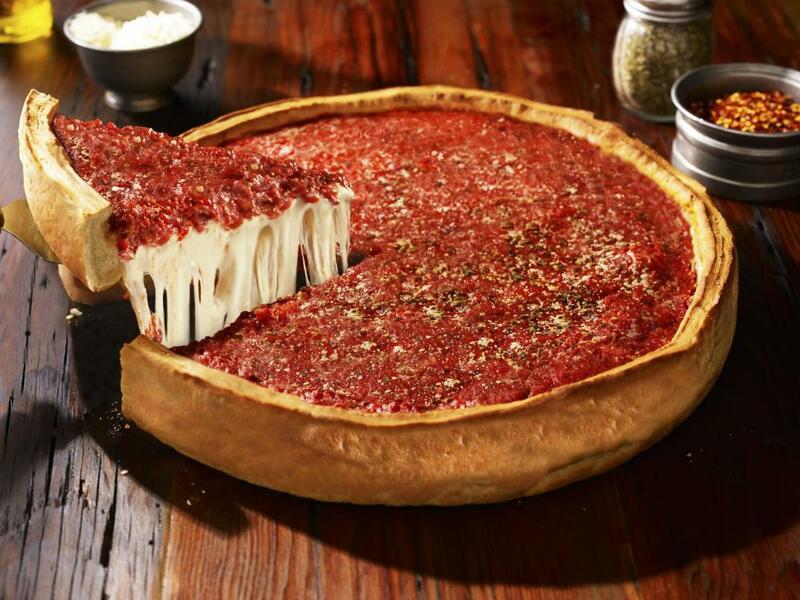 Isn’t it time you ordered from Giordano’s? 6 Artisans + 1 Pizza Pie = Satisfaction It takes six of Giordano’s famed pizza artisans to handcraft just one stuffed double-crust pie using our old-world techniques. A Giordano’s pie is so much more than cheese, toppings and crust. Just one bite of our pizza, and you’ll see why we’ve earned our reputation as the best pizza delivery and restaurant in Chicago! With the flakiest crust slow-baked for 35 minutes, the fluffiest Wisconsin mozzarella made just for us, and the most flavorful meats and vegetables we can find, Giordano’s is second to none. Giordano’s is famous for our artisanal pizzas, but we’re also known for our outstanding menu. Why not try a stuffed pie alongside a savory Italian sandwich, a selection of tasty appetizers or a side of hearty pasta? We have fresh salads, too, plus gluten-free options. Just ask!